Inflammation is the root cause of nearly every modern, chronic illness. Cardiovascular disease, type 2 diabetes, Alzheimer’s, autoimmune disease, and even cancer can all be traced back to the body’s inability to keep up with the bombardment of inflammation we experience on a day-to-day basis. It’s the catch-22 of living in an industrialized world, where we are surrounded by plastics, air and water pollution, synthetic chemicals in our health and beauty products, and processed junk being sold as “food”. Research shows that as developing countries (which were once nearly free of so-called “Western” diseases such as heart disease and diabetes) start to adopt the unhealthy lifestyles of industrialized nations, obesity and non-communicable disease rates skyrocket.1 This goes to show just how much of a role environmental factors play in today’s disease epidemic. Now for the good news: YOU decide what you eat, drink, and put in and on your body! 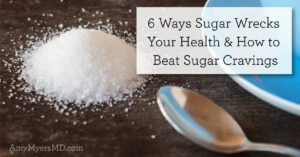 I find it incredibly empowering to know that we have so much control over our own health. 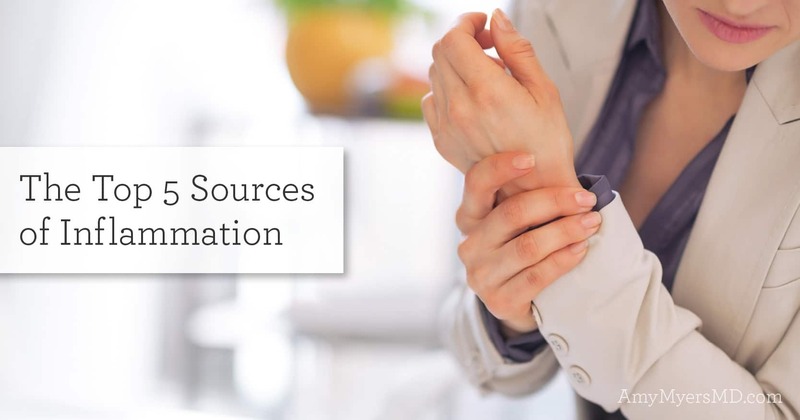 You can minimize your exposure to the top sources of inflammation by knowing what they are, where they are coming from, and how to tweak your diet and lifestyle to significantly reduce your inflammation levels and get you on the path to optimal health. 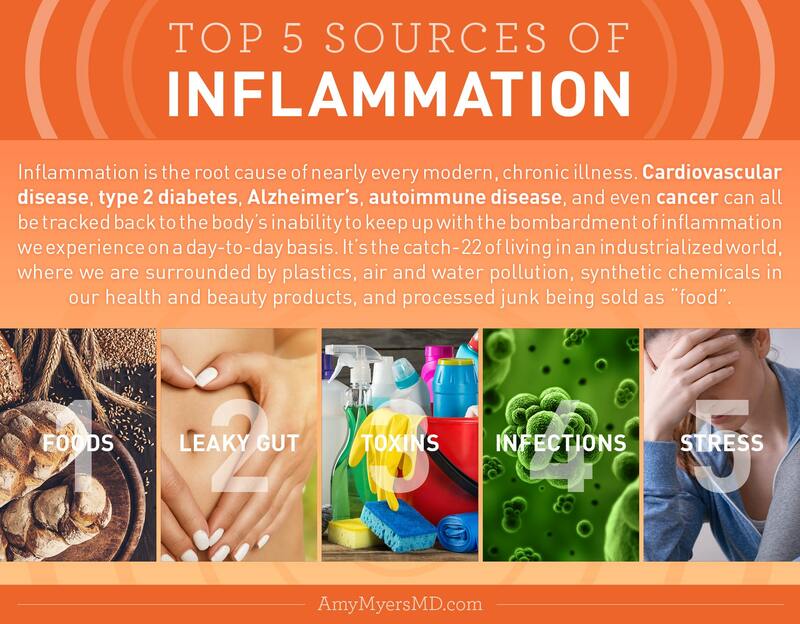 Let’s take a look at some of the top sources of inflammation to help you identify the root cause of your symptoms and prevent (or reverse) chronic illness! Eating a poor diet accounts for 1 in 5 deaths worldwide, and has surpassed smoking as the number one cause of death and disability in the U.S.2,3 That’s because the Standard American Diet (SAD) is full of inflammatory foods such as gluten and dairy, fried foods, corn, soy, skyrocketing levels of sugar, and highly processed junk. These foods wreak havoc on your gut and set you on the path to autoimmune disease and chronic illness. Gluten has been linked to over 55 diseases, making it the worst offender by far, followed closely by dairy products.4 Other inflammatory triggers include grains, legumes, nuts, and seeds. Eating an anti-inflammatory diet that includes plenty of leafy greens, healthy fats, and clean-sourced protein is one of the best ways you can reduce your risk of chronic illness. To learn more about the toxic and inflammatory foods you should avoid (and the nutrient-rich ones you should enjoy! ), see this article. A daily smoothie made with my organic greens powder is a surefire way to maximize your intake of vitamins and minerals and reduce inflammation. The easily dissolved powder is rich in the superfoods and phytonutrients that are missing in our modern diets, including spirulina and chlorella which are among the richest nutrient sources on the planet. 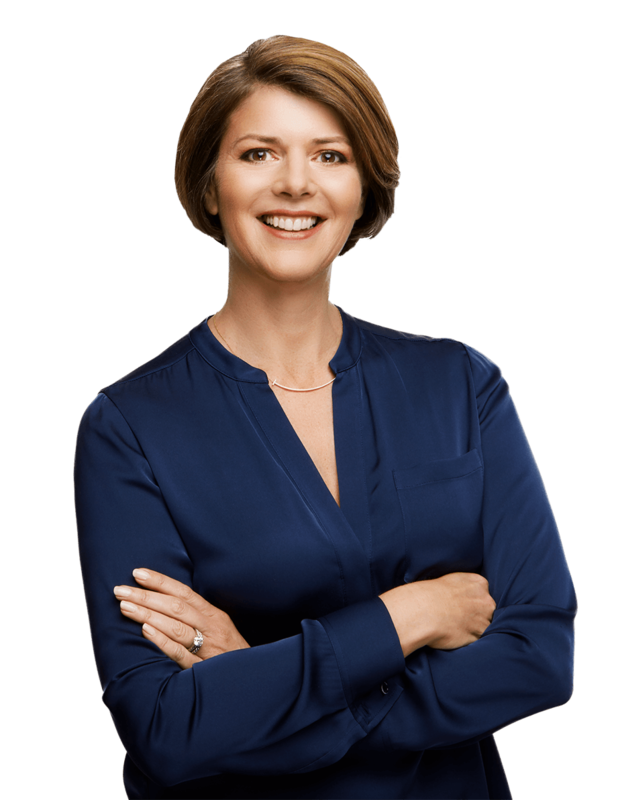 When you have a leaky gut, it’s as if you’re throwing the drawbridge wide open for toxins, microbes, and immune-triggering food particles to flow freely throughout your bloodstream–where they can do some serious damage. A high-carb diet containing many of the above inflammatory foods is one of the main causes of leaky gut. Other factors include medications, gut infections such as SIBO and Candida overgrowth, and stress. How does leaky gut lead to chronic inflammation? The particles that escape into your bloodstream are seen as foreign invaders by your immune system, which uses inflammation to attack them in the same way it would fight off a virus or bacterial infection. The problem is that as your gut remains leaky, even something as simple as eating lunch causes this reaction so that your immune system is constantly sending out wave after wave of inflammation, to the point where your body becomes chronically inflamed. To seal a leaky gut naturally, I recommend following the 4R approach. My most comprehensive weapon for overcoming leaky gut is my Leaky Gut Revive™ powder, which contains L-glutamine, aloe vera, deglycerinated licorice, slippery elm, and marshmallow root for sealing and rebuilding a healthy gut lining. Other important gut-repairing supplements include digestive enzymes, a high-potency probiotic, and collagen. Taming the toxins is super important for lowering your inflammation levels, so what can you do to minimize your exposure? Consider whether you really need to take certain medications. Antibiotics in particular are some of the most over-prescribed medications, with nearly half of outpatient prescriptions being completely unnecessary.5 And if you are taking birth control for skin issues or mood swings, these pills are merely masking the symptoms of a deeper problem while simultaneously throwing fuel on the inflammatory fire. I recommend getting to the root of your symptoms so you can ditch superfluous medications for good. Reduce your exposure to heavy metals and other pollutants by filtering your air and water, and consider seeing a biological dentist to safely remove amalgam fillings. Reference the Environmental Defense Fund for lists of fish that are highest and lowest in mercury to make smarter choices about what you eat. You can also chelate heavy metals using my Heavy Metal Detox, which contains EDTA, chlorella, and cilantro to pull metals such as mercury, cadmium, and lead from your bones and tissues so they can be safely flushed out. Ditch the plastic and replace your water bottle and storage containers with glass or stainless steel. Try to buy organic whenever possible. If going completely organic is out of your budget, prioritize meats (where toxins are most concentrated) and only buy grass-fed, pasture-raised meat and wild-caught fish. Also prioritize buying produce on the Environmental Working Group’s (EWG) Dirty Dozen list, which tend to carry the most pesticide residue. You’ll also want to choose toxin-free beauty and cleaning products. 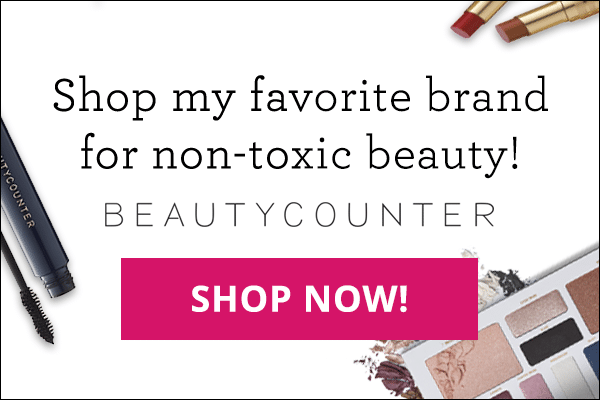 My favorite non-toxic personal care brand is Beautycounter. And the best way to ensure you’re getting safe cleaning products is by making your own! The Autoimmune Solution Cookbook includes simple, easy-to-use recipes for natural DIY household cleaners, along with plenty of ideas for inflammation-busting meals! Finally, it goes without saying that you should quit smoking and limit alcohol consumption if you haven’t already. These two bad habits are a burden on your system, accelerate aging, and increase your risk of chronic illness. 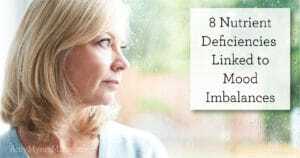 Underlying bacterial and viral infections could be adding to your systemic inflammation levels. 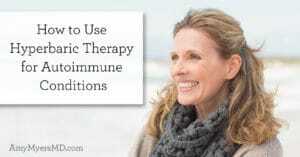 The presence of a virus (Herpes simplex, Epstein-Barr, Hepatitis C) or bacteria (Lyme, H. Pylori, Yersinia enterocolitica, E. coli) triggers your immune system to release antibodies, and is often a key factor in autoimmunity. 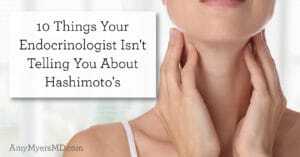 If you have an autoimmune disease and changing your diet and lifestyle has not helped reduce your symptoms, you should get tested for infections that may be preventing you from reaching optimal health. Stress is more than just a feeling–it’s an inflammatory state. When your body is met with a physical, mental, or emotional challenge, it releases hormones including the primary stress hormone, cortisol. Cortisol signals your immune system to gear up for fight or flight, and your immune system responds by producing inflammation. Once the danger has passed, cortisol once again signals your immune system to calm down. However, when you are chronically stressed–whether from a poor diet, sleep deprivation, a stressful work environment, or relationship problems–your body never gets the signal to “cool off” and inflammation runs rampant. 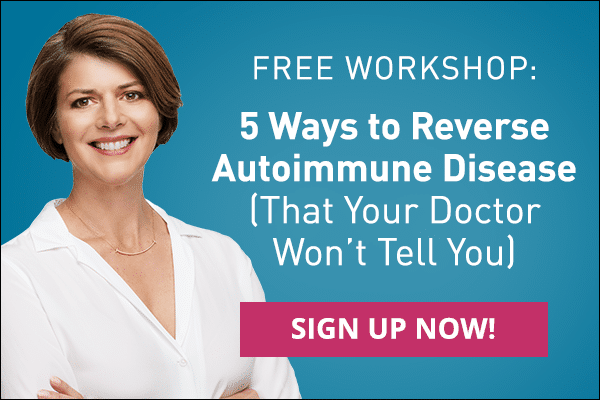 This can cause your overworked immune system to become suppressed, leaving you susceptible to infection, autoimmune disease, and other chronic illness. Work on reducing your stress levels with a nutrient-dense diet, plenty of sleep, and stress-relieving activities such as meditation, yoga, deep breathing, listening to your favorite music, or some much-needed “me” time to emphasize self-care. You deserve it, and your health depends on it! 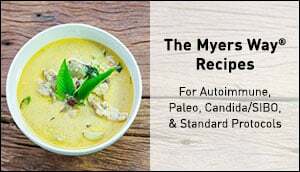 Tame Inflammation with The Myers Way®!